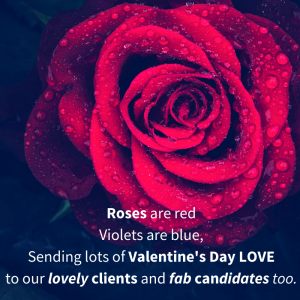 Today we’re sharing the LOVE with our friends, family, clients and candidates. Thank you to everyone for their continued support and love. It’s the day where many of us like to show those close to us, how much they mean to us by telling them we “love them”, appreciate them, share a kiss with those nearest and dearest, and exchange cards, gifts, flowers, chocolates, cupcakes, heart shaped cushions, sweets, balloons and so on. For some, maybe this is incredibly over the top. For others, maybe they long for that card or lovely gesture from their love or someone special. For many, maybe there’s an annual Valentine’s ritual that ends in a supermarket dine in for 2. Maybe that special someone is no longer around or is far away and you only but wish to tell them how much you love them. However you like to spend and celebrate Valentine’s Day, you just can’t beat a lovely bunch of flowers! There are so many options and choices of flower, size, colour, bunch, bouquet, ribbons, bows etc and Valentine’s Day must be a florist’s favourite day of the year. 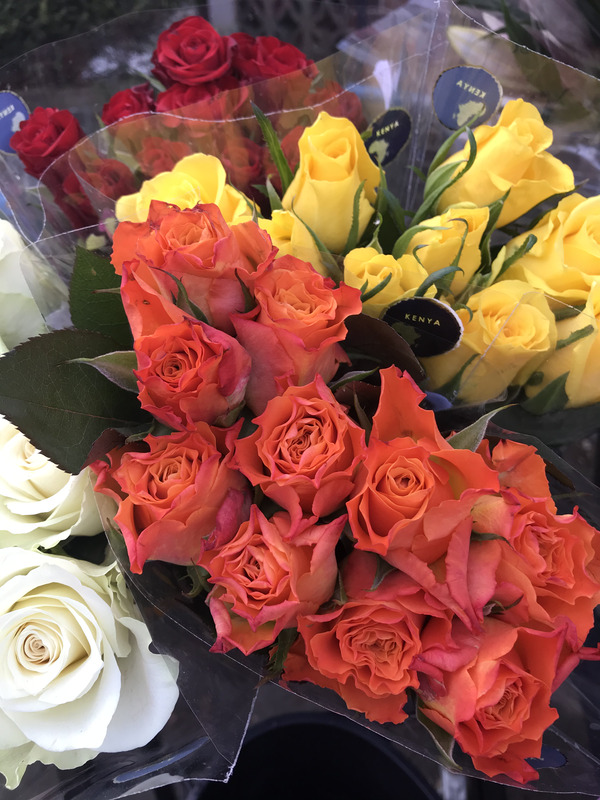 Congratulations to all the UK flower growers and suppliers this year, we’ve seen some wonderful bunches and arrangements of flowers on our travels.